crafting with katie: MCT 79th Edition "7 Year Anniversary" Release Blog Hop! MCT 79th Edition "7 Year Anniversary" Release Blog Hop! 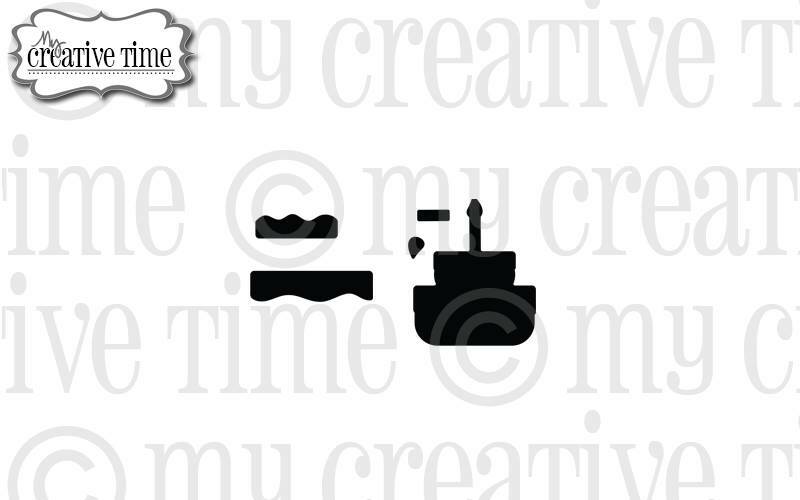 Welcome to the My Creative Time 79th Edition Release Blog Hop! This is Emma's 7 Year Anniversary! It's hard to believe we've been enjoying her fabulous stamps and dies for that long! You should have arrived here from the very talented Jessica. If you just happened upon here, you might want to head over to Emma's blog, to the beginning of the hop. This is a very fun release, and I hope you are as excited about it as we are! For my project today, I took the new Circle Border Die and used it to trim the edge of my black card base. I thought it would be fun to fill in the circles with pops of color, and I was able to do that using the large single circle die included in the set to make the circles that I adhered behind the small circular openings. For the larger circular openings, I used a die from You Are Spot On. To make the border really pop (and to give myself a place to write a message), I lined the inside of the card with a piece of white cardstock. Next I heat embossed my sentiment, from the Script Words stamp set, with white embossing powder. That adorable cake was made with the Baby Cake Die, our freebie this month (more info on that below). Here's a closer look at Circle Border Die. It is available now in the My Creative Time Store! Starting on Friday, May 18, 2018 @ 8AM PST, we will be giving away this ADORABLE new Baby Cake Die to the FIRST 50 shoppers! If you are one of the first 50 shoppers, it will be automatically added to your package at the time of packaging/shipping. Once 50 shoppers come through, the set will be available for purchase. So if it's for sale in the store, you are not one of the 50. No exceptions will be made. This freebie set is not a part of the "bundle" and will be sold separately! Also, DON'T FORGET our sale that is starting RIGHT NOW here! Use the code MAY2018 to receive a discount off your entire purchase! This sale applies to "IN-STOCK" items ONLY. This sale will end on Friday, May 25, 2018, at midnight PST. This is beautiful with the bright circles and the sweet cake. Awesome card, Katie. OMG Miss Katie...What a Gorgeous Card!! I'm in awe of the look you achieved it's amazing!! Love how you have sentiment streaming from the cakes frosting...gosh looks like it was written in frosting....what a brilliant idea. 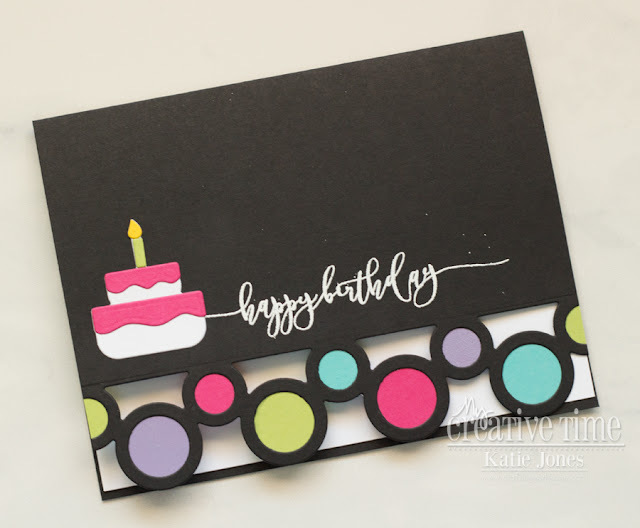 Loving how your circle border die looks...golly gosh such beautiful colors and again ingenious using the large circle from You are Spot on set. YOU so ROCK!! Katie, this is awesome! Love the design and the colours you chose! That die is fab!! Great card! Love the bright color contrast with the black! I just LOVE how you used the inside of the circles for your card......SO MUCH FUN!!!!!! I love how the set "You are Spot On" coordinates perfectly with this border! :) ALSO, thank you for you AWESOME sneaky peeks this entire week! I love how colors pop with black and your card is beautiful. The script words with white embossing is a perfect choice. Wonderful job on your cards today and all week. Super fun and pretty card! Love the pops of color! So cute--the colors really pop with the black card stock. 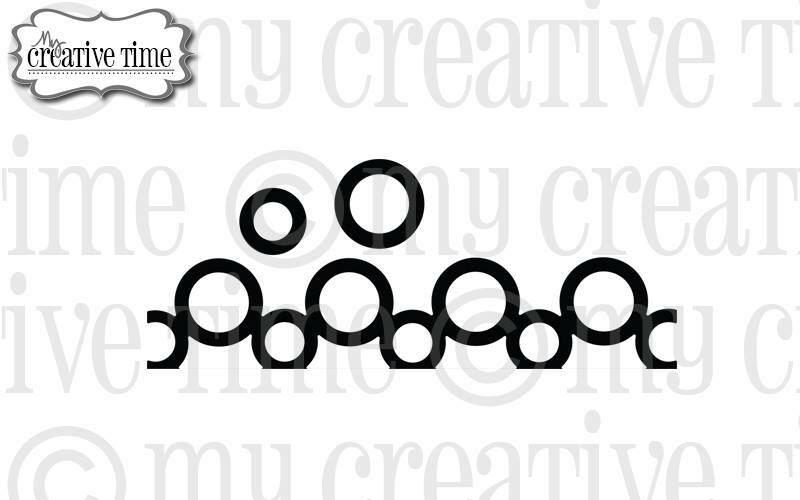 I am loving the circles in black with the bright pops of color! So fun! The black also allows the darling cake die to pop too! FABULOUS! MCT Flash Sale & Blog Hop!